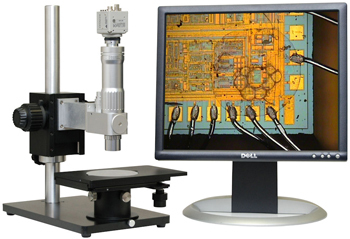 YSC PowerScope UL4200 is the ultimate digital microscope which can be customized with various camera, lighting, stand, software and measurement options. The lens offers superior resolution and depth of field with detent click stop feature which is ideal for video measurement application. Wide full 1:12 zoom ratio. Standard internal coaxial lighting port is for bright field coaxial lighting application. Various cameras (color CCD, USB megapixel [from 1.3MP to 32MP], VGA output, HDMI output, Internal SD memory and HD high definition ), lighting (LED, halogen and fluorescent) and stand options can be configured for your system. Images and video can be captured. Measure- ment software, image processing software and X-Y-Z measure- ment stage are available. The system can be configured with motorized zoom lens and stage. Specifications subject to changes and E&O without notice and liabilities.